I would see that Skype conversation notification pop-up on the top right corner of my laptop almost every week. It was a client of ours who would ask us to lower our agency prices for him. He is a successful Amazon seller who decided to go the ecommerce route. We actually get a lot of price objections from this type of clients (Amazon -> ecommerce). It’s totally understandable because they used to get “free” organic traffic on Amazon and then they have to spend a lot on ads. Once they’ve built an ecommerce store, they face a “hard to swallow” fact that that all marketing channels cost money or other resources and they can’t move ahead without being serious about investing in marketing. In this article I’ll try to prove that there really isn’t a ‘free marketing channel’ that’s scalable. I’ll share some success stories of our clients so you can see which marketing channel could work best for your business. 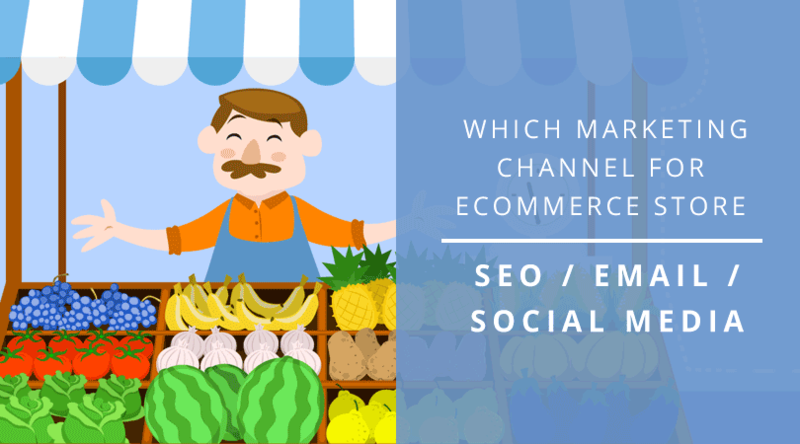 A single channel or multiple marketing channels? If you follow some marketing blogs or go to online business conferences you’re bombarded with new ideas for marketing and it’s tempting to try them all. 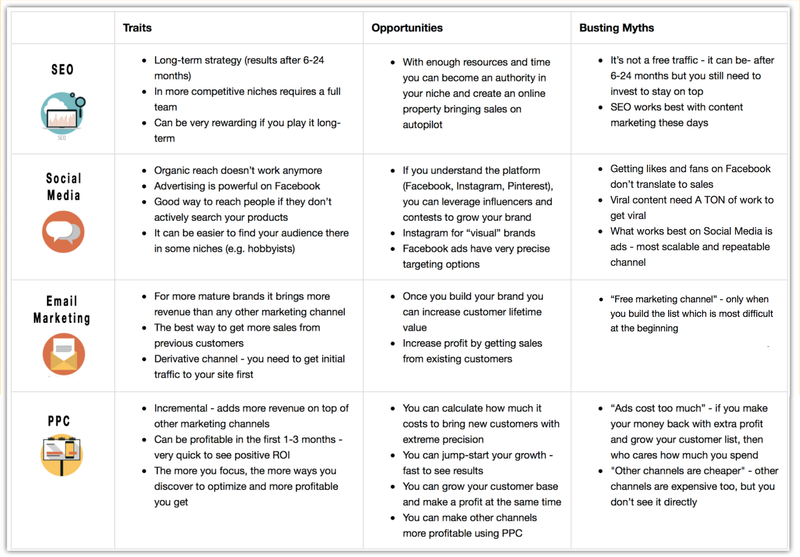 A trap we see ecommerce owners fall into is ‘half-assing’ their marketing and spreading themselves thin on many channels instead of picking one and going full in. They often try to do marketing themselves (along with taking care of operations and finances in the company) or delegate to their ‘marketing guy’ who deals with social media, email marketing etc. 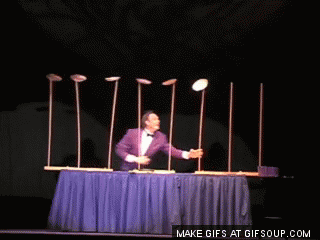 I heard a metaphor I liked in one conference : managing multiple marketing channels is like the art of spinning plates. It’s extremely challenging to spin and watch all plates at once. 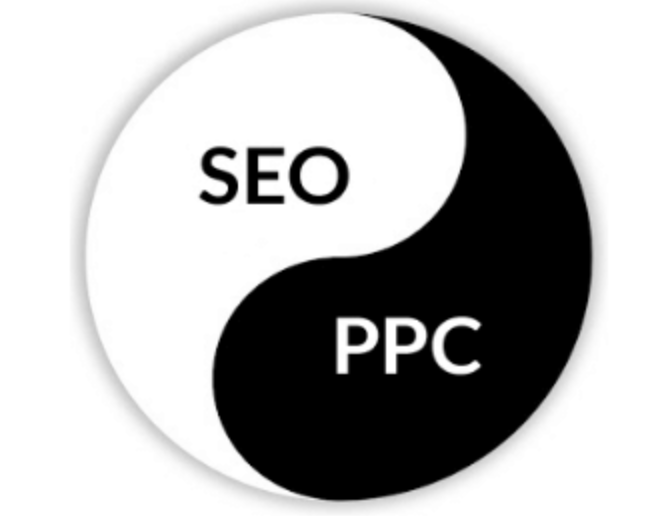 PPC are paid positions, SEO is the “free traffic”. As you can see, with “buying intent” keywords, Google displays a lot of ads so organic results will often be quite low on the page. The point of SEO is to get your site (your product page / category page / article) as high as possible in the search results page when someone types in a phrase related to your products in Google. Making sure that Google understands what your page is about and structuring the website logically in the eyes of Google. In more competitive niches the best results pages will follow hundreds of best practices like keyword relevancy, URL structure, optimizing site speed etc. There’s also stuff you can do outside of your site that will affect your rankings: your brand mentions, incoming links directing people to your website and more. Google favors interesting and valuable content. That’s why — for many keywords — it’s easier to get to the top of search results with an interesting article than a commercial product page. As you can see, the top result is an article, not a category page. It obviously depends on how competitive the niche is, climbing Google’s positions is a game played in years (not weeks). In this example the site went to 15k visits a month in 4 years. According to a study by Ahrefs only 5.7% of all newly published pages will get to Google Top 10 within a year (it will take more than 12 months for remaining 94.7% pages). Once you reach the top, it’s not over yet. Your site will still need maintenance. Your competitors might always write a better piece of content and step up their SEO game to outrank you. If you reach top positions, you’ll finally get that free traffic. If you focus on the right keywords, SEO will keep bringing sales on autopilot. An SEO optimized page will boost other marketing channels, like PPC, as well. A significant portion of clients came to us after they got hit with one of Google’s updates. They lost a big chunk of their business almost overnight and we’ve worked with them to build up missing revenue with PPC advertising. If that’s the case for you – your traffic has dropped either because of a store redesign or a Google update, book a free 30 minute strategy call with me to discuss using PPC to boost sales while you’re fixing your SEO. 1.4. SEO + content marketing = higher rankings and more traffic! As mentioned, Google favours valuable content more than product pages. 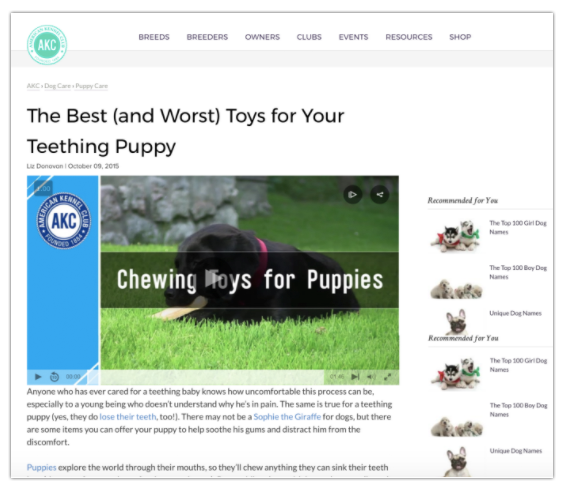 An article about puppy toys get’s around 3,000 clicks a month from Google (for keywords like “puppy teething toys”). It contains links to products within the article so many of the readers will become customers. Creating articles in a strategic way will generate backlinks which is a crucial element of off-page SEO (Google will recognize your site as more important if you have more links directed to your articles). One guy I know in the CBD oil niche was banned from Google Adwords and couldn’t advertise with PPC. Content marketing was his only option to grow his business. He decided to go all in. After producing hundreds of articles he finally became an authority in the niche and reached over $1M in sales in his second year. Creating content as a long term marketing strategy for ecommerce business can be very profitable, but the process is complex. If you’ve written a blog article before you know it takes at least double of amount of time you expect and uses tons of creative energy. Some ecommerce companies that I know hire full-time employees and contractors for 3 separate roles (a writer, an editor, outreach person – aside from the technical SEO roles). 1.6. SEO + PPC = more effective marketing! Both SEO and most of PPC rely on Google’s search engine. That’s why an experienced PPC or SEO consultant will help you with one channel using the other, since the two will intersect. 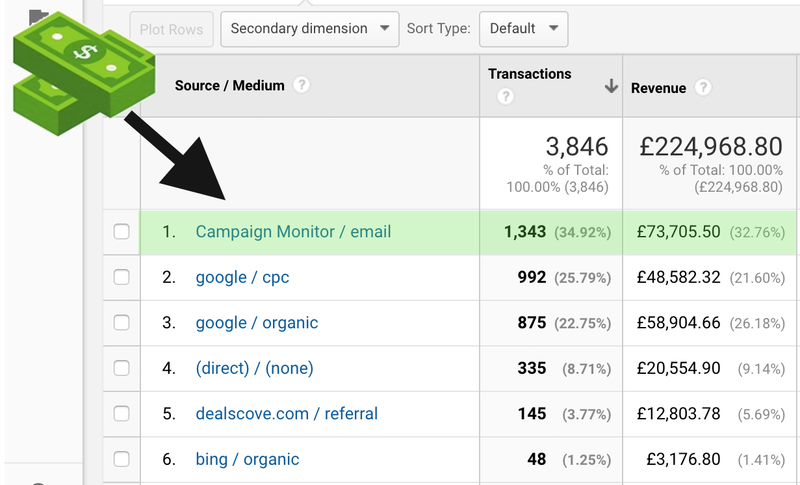 Example 1: Using PPC to discover high converting keywords for SEO. Ranking takes time and it’s a pretty big investment so it’s best to know beforehand if particular keywords that you’re trying your sites for will actually bring you sales! You can run a few relatively cheap PPC campaigns to discover what phrases would a user type in Google that would result in most sales for your business. 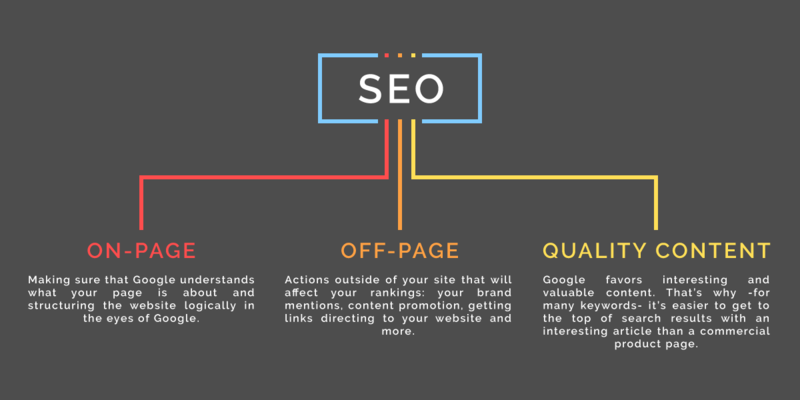 Those are the phrases that are best to base your long-term SEO strategy on. You can also use that technique to see which keywords your competitors rank for that would bring sales. If someone types in the name of your brand in Google and a product name, you can still show them specific ads directing to a specific page. This may seem counterintuitive to pay when someone searches for your brand, but when done correctly, it works very well to boost conversions, for example by showing them a special weekly deal in the ad that would direct them to a product page (instead of a homepage). Do you already have good SEO in place and want to boost your sales even more with PPC? Book a free 30 minute strategy call with me to find out how SEO and PPC can work together to increase your bottomline. Obviously the answer will be: It depends. Good SEO consultants will optimise on-page SEO of 1 site (one separate page, not a whole website) for $750. You can get 10 quality articles written (1,000 words long each, with keywords research and keywords optimization) starting from $1,000. 2.1. What is email marketing? For those clients of ours who are in business for a longer time, email marketing is the #1 source of revenue. They understand that with their store, contrary to using Amazon, they don’t get sales. With an email list and good email marketing strategy, they can focus on retention and re-engaging their customers based on their purchase history and their behaviour. It’s 10 times easier to sell to a previous customer than to someone unfamiliar with your brand. On top of that, most often the only cost is Mailchimp, Aweber or other software, which ranges from $29 to $1,500 a month. That’s why they just looove email. Although it seems “free”, email marketing is a derivative marketing channel. If you’re just starting out, you need to build a list. 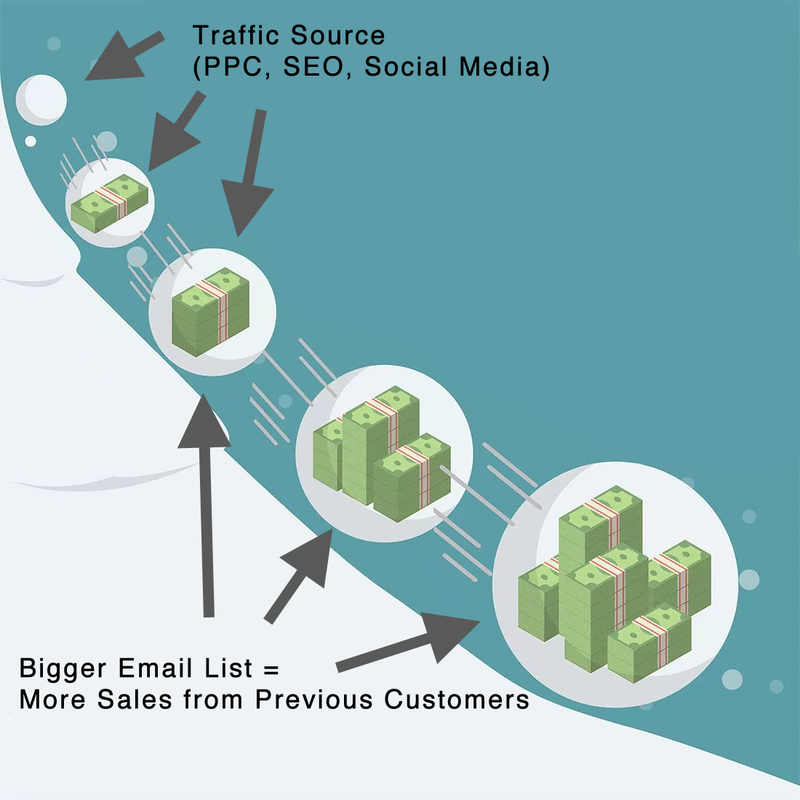 Email marketing works if the traffic is fueled by another channel for example PPC, cross promotions with other brands, influencer outreach on Social Media, etc. If you’re new and don’t have a lot of subscribers, your main focus should be driving traffic. Customer acquisition. 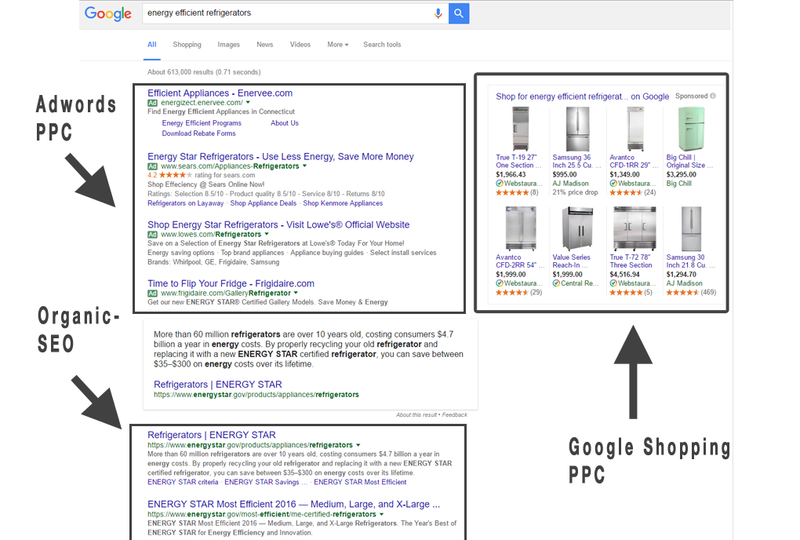 An extreme example is one store owner I know that uses PPC aggressively to sell a lower priced product. He barely breaks even, but he’s doing it on purpose because he’s focused on long term strategy. This way he grows his customer base for free. That’s why PPC can create momentum in the beginning — even if it’s not a crazy profitable channel at first. You still add customers to your list AND make some profit. Are you interested in jump-starting your customer base with PPC? Book a free strategy session and learn how to leverage PPC to increase your profits in the next 1-3 months. “People don’t read my emails” is an objection I hear a lot. Here’s where more advanced fun part with PPC begins. If you bid more aggressively (pay more than your competitors for clicks), it will still be very profitable because returning visitors have 50%-100% higher conversion rate than new visitors. 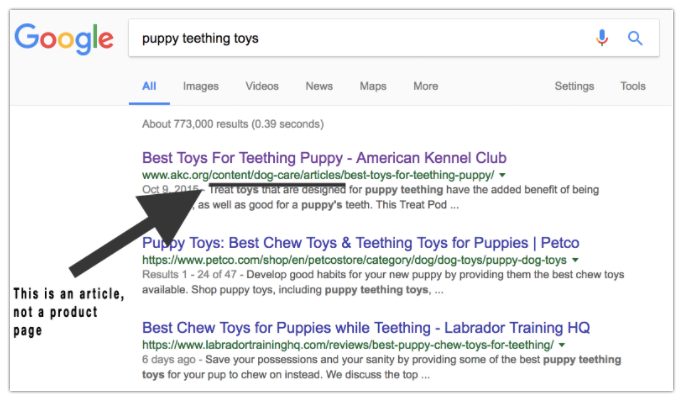 You can use that for both text and shopping ads to get them back to your site when they are making another search on Google. This technique is called Remarketing Lists for Search Ads. On top of that you can reach your past customers with banner ads on Youtube, blogs, news sites or even inside their Gmail account via Retargeting (I’ll share a few more details on Retargeting below). That’s why it’s important to dedicate full focus on PPC if you decide to go this route. This way you can use those smart tactics that will add more profit here and there. After Facebook updated it’s algorithm in 2014, organic reach dropped. Drastically. On top of that, organic reach fell even further throughout 2017 and will most likely continue to do so over the coming years. It means that getting likes became pretty much useless. Posts you publish (for free) will reach 0.5-3% of your fans. Boosting posts is not an optimal strategy either. Hiring a social media manager to keep posting content on your Facebook or Instagram profile will make sense if you have a big established brand. It’ll show your customers that you’re active and create multiple touch-points with your brand. If, however, your focus is to build your customer base, ads on social media platforms can work extremely well for ecommerce. A friend of mine is very successful in Crossfit niche, creating “viral videos”. One ad campaign with a viral video had brought over $100k in sales. What he doesn’t often mention is the tens of other ad campaigns with videos that he dumped a lot of money into that didn’t make the cut. Considering that he still uses ads to get more views and has 2 people helping him with creating those videos, it’s hard to call it a ‘free marketing channel’. To be honest, the vast majority of success on Social Media in ecommerce involved ads (in some way or the other). A rule of thumb is that if people are looking for your product or brand then use Adwords to meet them where they look for it. 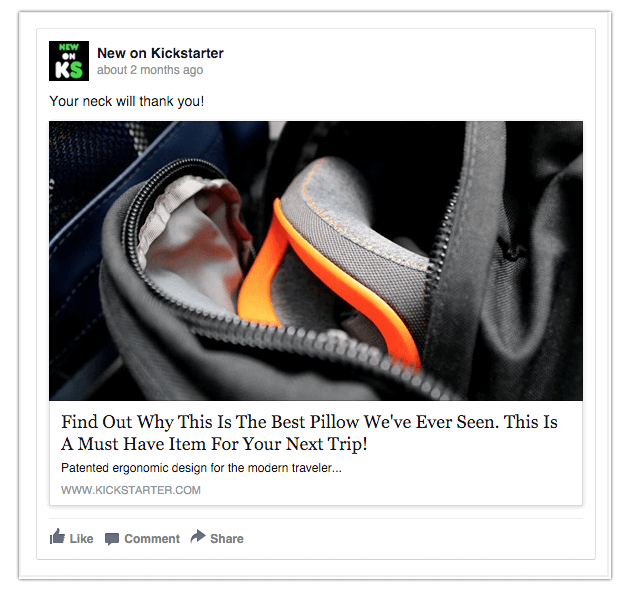 If, however, it’s a novelty product, invention, or something that’s not very well known, you can use ads on Facebook to create demand for your product and make people aware of it. This strategy is huge and for some clients brings a lot of additional revenue. to show products to people already familiar with your brand. Another rule of thumb is to use a social media platform that you like and understand. One person I know spent a whole year to build Instagram audience of 17k followers in Yoga niche only to find out that they’re not very interested in buying his products. As you can see, all of the most popular marketing channels cost money, time or other important resources. If you want to talk through your strategy with an expert, click here to book a free 30 minute strategy call with me to discover how to boost the most profitable marketing channels for your store.